I have yet to meet a beet that I like. Beets just aren't my thing. My husband on the other hand, loves them. Recently when we were visiting New York, we got a lox platter with pickled beets and Dan was so into them he took the dish from the waiter's hand when he tried to clear it with one beet left. When my CSA arrived with a GIGANTIC beet in the box two weeks in a row, I was initially annoyed because there was no way in I was turning on the oven long enough to roast beets the size of my head but then realized I could make my husband pickled beets to last a lifetime (or a few weeks given how many he'll eat in one sitting) plus, I'm not super into the beets but I won't say no to having pretty pink pickled onions with which to garnish a salad. Like most of my recipes, I read a bunch of pickled beet recipes and took the parts I liked from each. Dan thinks these turned out a touch sweet so you could reduce the sugar some, especially if you know your beets are on the sweeter side. Our first step is to get those beets tender! Because mine were so giant, I cut off the tops and then halved them before fulling submerging them and boiling until they could easily be pierced with a fork. For my beets, this took about an hour but if you're using smaller ones I'd check after 30-40 minutes. While the beets are boiling away, combine sugar, water, cider vinegar, salt, cinnamon stick and pickling spices in a pot. Bring to a boil and then simmer for ten minutes. Remove from heat. During this time you can also prep your onions. I just halved and sliced mine. Nothing crazy. Once the beets are fork tender, drain them and let them cool until they can be easily handled. If you've cooked them enough, you can now rub off the skins pretty easily (I recommend wearing a glove unless you want to look like a murdered for the next few days). How you cut the beets is up to you. I did slices about a quarter inch thick, but you could also do cubes if that's more your style. Place alternating layers of onions and beets in a 2 liter/half gallon jar and then carefully pour the pickling liquid over the onions and beets. Let cool to room temperature and then cover and place in the fridge. Let sit at least four days before trying. Enjoy in a salad or just as a simple side on their own. Optional: I'm keeping mine in the fridge but of course you could properly can these. Sterilize mason jars of your preferred size, stack the onions and beets in each jar and then cover with pickling liquid. Seal and then boil for ten minutes to process. If you're a newbie to canning or just want more information about canning safely, I really recommend the USDA home canning guide. * If you're looking for pickling spice in Korea, I've seen it at High Street Market and Foreign Food Mart (both in Itaewon) as well as at Emart. "Honey, I just remembered asparagus is a thing," he said to me, eyes wide and full of longing. Our CSA has included an excessive amount of different varieties of cabbage and "salad greens" lately making using exclusively our CSA veggies and meat a bit less a fun game of Chopped and a bit more of a not so fun chore. Actually, Korea right now is feeling less like a fun adventure and more of a not so fun chore, so I went a little crazy last time I went to Costco. That night I didn't have a plan for dinner other than to use as many of my fancy new ingredients in a meal as possible. So I peeled the bottom of my asparagus, chopped it in thirds, tossed it in olive oil, salt and pepper and threw it in the oven. I hadn't had pesto in months and handful after handful of basil was subjected to my immersion blender, a hearty dose of olive oil and some of the garlic chives from my CSA because why not? Some lemon zest, grana padano, red pepper flakes and salt later, I had a delicious sauce and a plan. The mushrooms were sliced and went into a pan with bacon lardons, garlic and (dried) herbs. I started one pot for rigatoni and another for poaching eggs. The asparagus came out of the oven and was treated to a generous sprinkling of lemon zest. My pasta, asparagus, bacon, mushrooms and pest all went in a BIG bowl to get tossed together. Next, it went into our smaller bowls and got topped with a poached egg and fair amount of grana. I was so happy as I stuffed bite after bite of what would be a lazy, low key meal in America but in Korea felt like crazy indulgence. Dan ate a bowl cold for breakfast the next day and I had the rest for lunch. Even cold, it was fantastic. 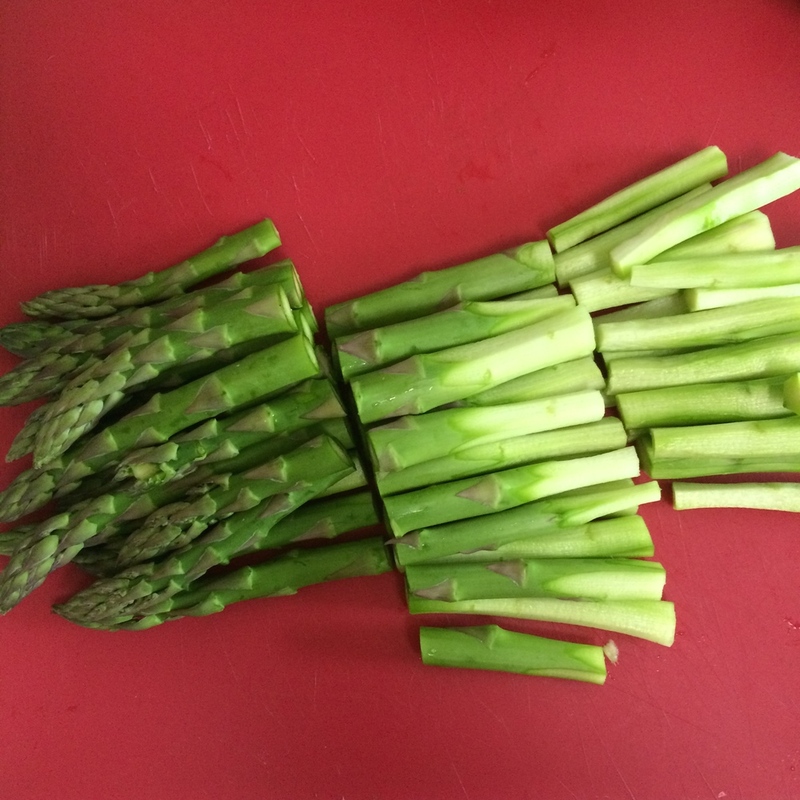 We managed to stretch out the rest of our asparagus into two more meals and had pesto for one more. Only about a third of each of our avocados was edible but we put them on as many things as we could, covered in fresh squeezed lime juice. The remaining precious limes are waiting to get used in cocktails, probably with some of the liquors we've been infusing with Thai spices. This week, thankfully, tomatoes made an appearance in our CSA (already! I know!) and last night's dinner was a giant bowl of poached egg salad. On the other hand, I just froze enough butter braised cabbage to keep us in pierogis until we leave Korea, I got another half of a giant cabbage and I still had another in my fridge. Any ideas*? My number one regret about Budapest is not eating more Pogacsa*. Pogacsa are what American biscuits dream of becoming when they grow up. Flaky layers, the subtle tang of sour cream and yeast, the permission to customize to your hearts desire. They're delicious fresh out of the oven but not so delicate that you can't take them on an adventure for fear they'll be too dry the next day. Pogacsa are perfection. Pogacsa are so prevalent and quintessentially Hungarian that when Dan and I did a tasting menu at Onyx the bread cart was primarily different flavors of Pogacsa with a couple of other nice breads thrown in. Dan is usually much better than me about not filling up on the bread cart when we do tasting menus but even he couldn't resist. The most popular flavors are the classic plain Pogacsa, plain sprinkled with poppyseed (of course), cheese and bacon. I took the liberty of combining the last two in this batch and threw in some black pepper but feel free to add or omit whichever flavorings you like. *J/K my number one regret about Budapest is ever leaving Budapest. Budapest 4EVA. In a separate small bowl, whisk together the yeast mixture, yolks and sour cream. Create a well in the center of your dry ingredients and pour in the yeast mixture. Use a wooden spoon to combine until you have a shaggy, sticky mess and then dump out onto a floured work surface. Knead the dough until it forms a smooth ball. It doesn't need to pass the windowpane test but don't be afraid to work it much more than you might work classic American biscuits. When you think it's just about ready, sprinkle half the bacon in the middle of the dough, work for a few turns and then sprinkle in the other half and finish kneading. 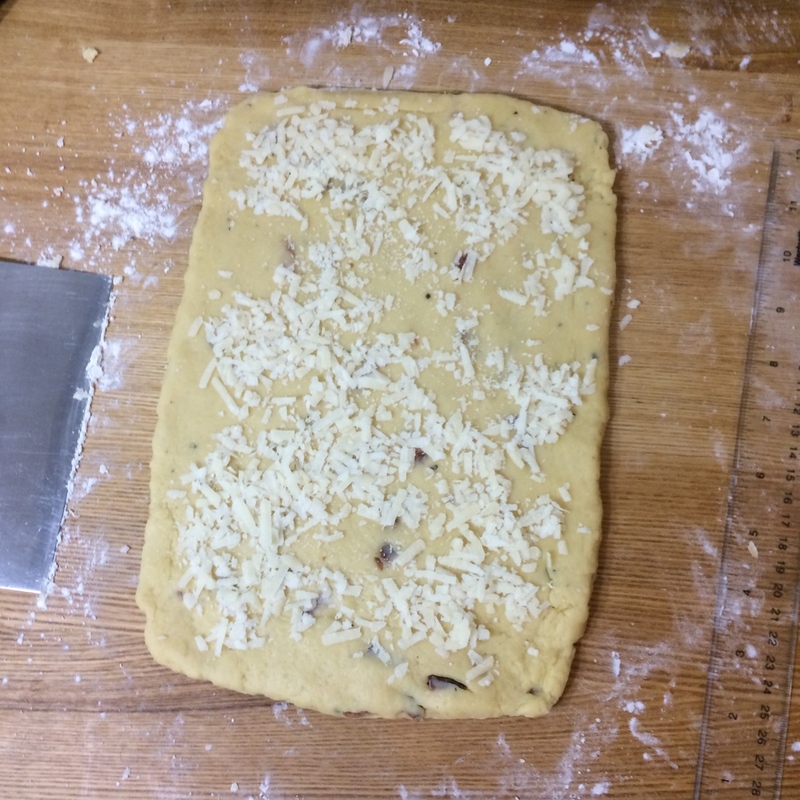 Give your work surface a fresh dusting of flour and then roll out your dough to a 12 inch by 6 inch rectangle. Try to get your corners as sharp as possible. Sprinkle with 1/4 cup of your grated cheese. Fold the top third down and then the bottom third up like you're folding up a letter (in fact, this is called a letter fold). Turn the dough 1/4 turn and roll out again to 12 inches by 6 inches. Sprinkle with the remaining 1/2 cup of cheese. Fold both ends of the dough to the center and then fold in half (this is called a book fold). Lightly flatten with your rolling pin, wrap in plastic wrap and chill for thirty minutes. Once your dough is chilled, repeat step one (minus the cheese). Wrap again and chill for at least two hours (I did mine overnight). Preheat your oven to 400 degrees Fahrenheit. Line a sheetpan with either parchment or a silicon baking mat. Remove the dough from the fridge. If you've let it chill for more than two hours, let it sit at room temperature for about twenty minutes. On a lightly floured surface, roll the dough out to 3/8 inch thick. Yes, really. If all has gone well, starting with raw dough 3/8 inch thick will get you a finished biscuit of about 2 1/2 inches. I'm not even joking a little bit. Use a sharp knife to lightly score the dough in a cross hatch pattern (I went a little too deep on mine but they were still delicious). You can either cut your Pogacsa into squares or use a ring cutter to cut into circles. I used a 3 inch ring cutter and got eight Pogacsa total. If you use a ring cutter, make sure you don't twist it because twisting can seal the outside layers together and you won't get the same rise. You can re-roll the scraps once, but I wouldn't recommend more than that. Space evenly on your sheetpan and brush with a beaten egg. Crack more black pepper on top. Bake about 20 minutes or until golden brown. 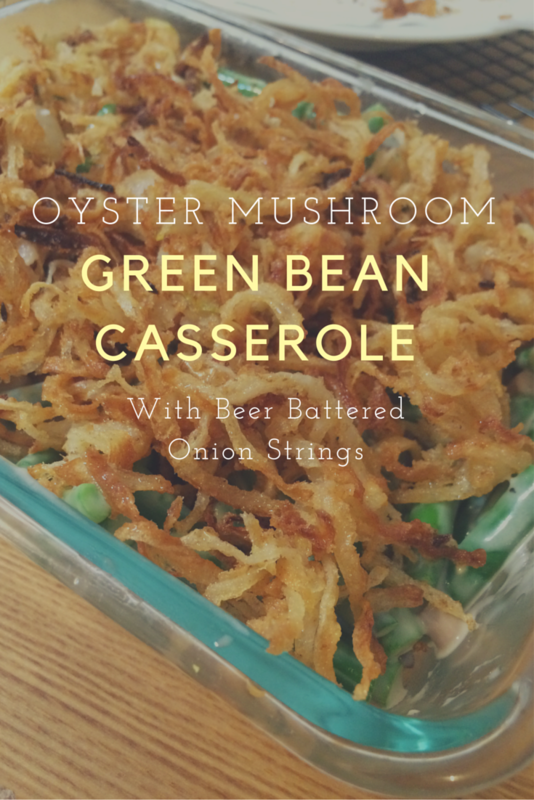 Remove to a cooling rack and serve while still warm or at room temperature. Optional: Make a decadent breakfast sandwich with cheddar and avocado that would be totally normal in America but in Korea is a luxury and makes you feel like a Queen.